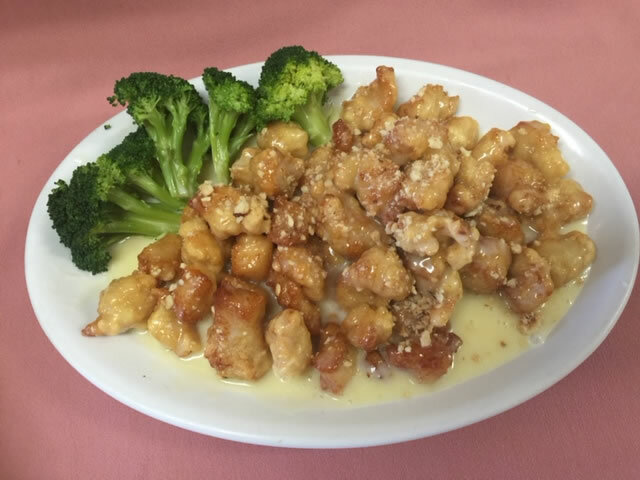 China Delight is Corvallis’ Healthy Food Choice! We change these coupons and specials frequently. Special pricing is often offered during special events in our community or based on time of year or calender. Be sure to check back often. Our newest special for you to enjoy. This dish delivers the full flavor of hazelnuts in our special homemade creamy base sauce. Served with a broccoli garnish. Lunch or dinner $10.95. Enjoy it soon. Enjoy $5 off the purchase of $25 or more regular priced entrees on our menu. Download and print the coupon 120Kb PDF] and bring it with you. Please give to server when you order. While we will take every reasonable precaution to ensure the coupons and specials posted on this website are correct, if a coupon or special is incorrect, we reserve the right to substitute it with another coupon or special offer. Please be aware that coupons may have an expiration date and specials are changed frequently and do have an expiration date.